In a recent interview (3.10. 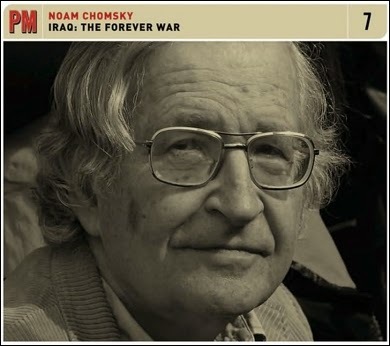 2014) with Chris Hedges ('Chris Hedges Interviews Noam Chomsky'), Noam Chomsky blames the“Sunni-Shia conflict” on the “U.S.-British invasion of Iraq”. Then again, Chomsky also blamed theSyria civil waron global warming. (See this link.) And, of course, anthropogenic global warming is itself - according to Chomsky, Naomi Klein and virtually all Leftists – a consequence of capitalism. “Well, the U.S.-British invasion of Iraq is a textbook case of aggression. And one of the things it did, one of the crimes was to ignite a Sunni-Shiite conflict which hadn’t been going on." The Manichean nature of Marxism or socialism is no exaggeration. Leftists - such as Chomsky - believe that capitalism is directly responsible for all wars, poverty, racism, sexism, misogyny, hatred and even selfishness. It's therefore quite predictable that Chomsky should blame the entire situation in Iraq on capitalism; or, at least on “Western imperialism” and“colonialism”; as well as on the “capitalist state” that is the United States. What happens when it comes to Leftist/Marxist analyses of Iraq is precisely what happens when Leftists analyse the “capitalist nature of war”, or the“capitalist nature of prostitution”, or selfishness, or racism, etc. That is, they focus exclusively on what they take to be the capitalist aspects of wars, racism, poverty, prostitution, etc. and more or less ignore everything else (whether that something else is found in history, religion, philosophy, biology/human nature, etc.). Thus Marx himself concentrated on those features of prostitution, for example, which only occurred under capitalism or which were specific to capitalism. And that meant, absurdly, that he claimed that prostitution(“the oldest profession in the world”) was quite literally an invention of capitalism. (Marx and Engels also deemed marriages –though not their own of course – to be forms of “bourgeois prostitution”.) But when Marx focussed exclusively on the 19th-century – therefore capitalist - aspects of prostitution, that didn't stop it from being the case that prostitution has always existed in human societies and civilisations. Marx certainly didn't demonstrate that prostitution was invented, as it were, by capitalism. This anti-capitalist monomania also applies to Marxist analyses of Nazism and Jew-hatred. Marxists historians and theorists have tied the whole thing to capitalism and ignored the hundreds of years of of anti-Semitism in Europe which pre-dated the Nazis. 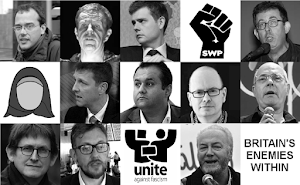 They also – predictably - ignored the socialismof National Socialism; the actual socialist policies of the Nazis when in power (health services, child and pensioner care, environmentalist/Green legislation and policies, animal rights, etc. ); those German conservatives and industrialists who didn't support the National Socialists; the Jew-hatred of the International Socialist/Marxist tradition (which pre-dated the Nazis by some 60 years); and so on. And the same is true of Chomsky's Manichean view of Iraq. Chomsky ignores all the history and events (or sometimes simply downplays them) which can't be directly tied to contemporary Western capitalism or to historical colonialism. He also completely ignores Islam itself and the pre-2003 history of the Shia-Sunni conflict. Chomsky even conveniently forgets everything Saddam Hussein did before 2003; unless, of course, what Saddam did can itself be tied - in some indirect or tangential way - to Western capitalist states. That's what a lifetime of Leftist/Marxist theory does to the mind. 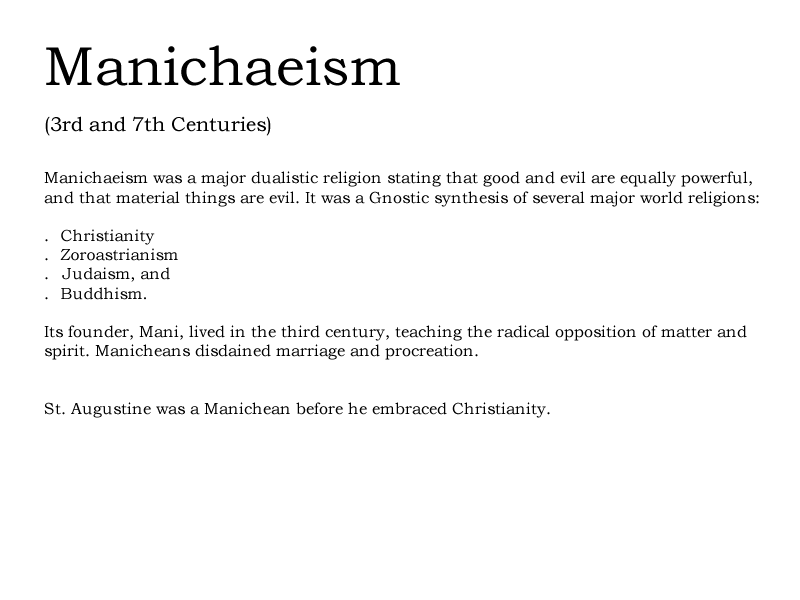 Leftists/Marxists become political Manicheans and psychological monomaniacs; as well as socio-economic determinists. Noam Chomsky says that the the “U.S.-British invasion of Iraq” managed to “ignite a Sunni-Shiite conflict which hadn’t been going on”. 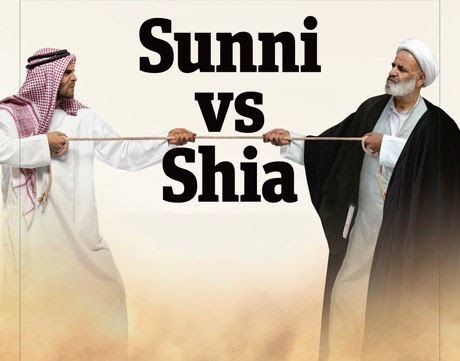 Saddam Hussein kept the Sunni-Shia conflict partly under control through his dictatorship: by closing down Shia mosques, banning Shia celebrations, arresting Shia clerics, torture, chemical and biological attacks and his secret police. Does Chomsky think all that was a good thing compared to what happened after 2003? I know that Chomsky himself has praised various totalitarian regimes for the great things they did for “justice”, “equality” and for the quelling of what Chomsky calls “tensions”. As for Saddam Hussein, he too could have completely quelled the Sunni-Shia conflict (or Iraqi tensions) by killing or imprisoning every Shia in Iraq. Indeed, at various times, he came close to doing that. In actual fact, Mr Chomsky, the “Sunni-Shia conflict” (in Chomsky's own words) dates back to 656AD– some 1,358 years ago. There have been countless battles, massacres and oppressions/persecutions within this Islamic civil war– all of which occurred before 2003. Chomsky is a revolutionary socialist. Sure, he's called himself a “libertarian socialist” and even an “anarcho-syndicalist” (in order to distinguish himself from Marxist automatons) in the past. However, nothing Chomsky has previously said, and none of the regimes and causes he has supported in the past (from the Khmer Rouge to Chairman Mao's China) have distinguished him from any other intolerant and totalitarian Leftist. Chomsky also offers us some very hedged criticisms of Marx. However, that means very little if we bear in mind that most contemporary self-described Marxists criticise – or at least silently jettison – certain of Marx's theories and ideas. Indeed this attitude towards Marx can even be found in the works of Vladimir Lenin. What is important is that Chomsky still adheres to the fundamentals of Marxism. And what can be more Marxist than seeing everything in the entire Sunni-Shia war in Iraq and elsewhere (as well as all the expressions and misdeeds of contemporary Islam) as mere “epiphenomena of socioeconomic conditions”? Indeed as nothing but Marx's “sigh of the oppressed creature”?And because of that, Chomsky still has a Marxist/Manichean view of capitalism, its nature and its place in the world. Thus, in Chomsky's Marxist - and therefore Manichean - worldview, literally every evil (a word Chomsky would never use, of course) must be the fault of capitalism. By inference, literally everything bad that has happened and is still happening in Iraq simply must be due to what capitalist states – i.e. the US and the UK – have done in that country. To Chomsky, it really is that simple. If Chomsky didn't see things in such a simplistic way (despite the tedious - “death by footnote” - academic minutia you find in some of his books), he wouldn't have become a prophet to those thousands of white, middle-class students (as well as ex-students) who've forsaken all other religions only to embrace Chomsky's Manichean Leftism. Yes, I said that in my reply and it says the same in the article too. Though, to repeat, the conflict was kept under wraps through a dictatorship. And all sorts of problems can be solved through dictatorships. I'm just surprised that Chomsky seems to either accept that or simply overlook it. No; though Chomsky and you want to do the opposite. That is, to erase Islam entirely from the equation (which is a historical Marxist position). So let me strike a deal here with both you and Chomsky. I will admit that everything that has happened in Iraq post-2003 is not all the result of Islam if Chomsky and yourself will return the favour and say that it's not all the result of capitalism and the actions of "capitalist states" (the US/UK). I, for one, have never said that it's all about Islam. Nothing in politics is ever all about one thing. Chomsky, on the other hand, does say that it's all about capitalism and/or the actions of capitalist states in Iraq. That's why he's a Leftist. You are, then, a pure Manichean disciple of Chomsky. You say that the nature of Islam “as an explanation” is “nil”. And capitalism, or Western colonialism, is 100% of the explanation. That is predictably Marxist. And since you have ignored the points which show that the Sunni-Shia conflict pre-dates “Western colonialism” by some 1,350 years or more –what can I say?